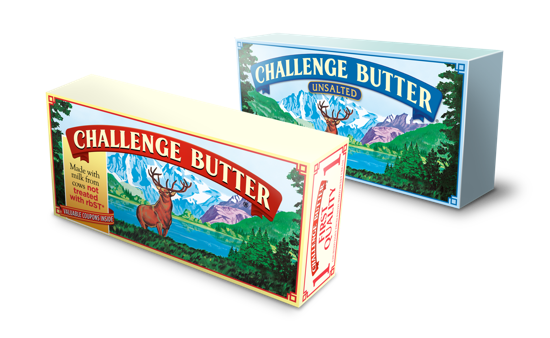 Challenge Butter has been a quality staple in kitchens since 1911. 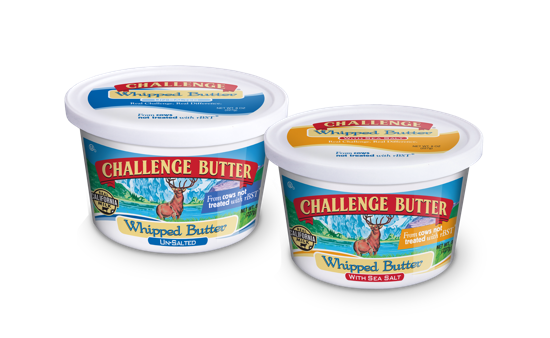 Churned from the freshest, purest cream, Challenge Butter and Challenge Unsalted Butter are the benchmarks for real, quality butters—making it the West’s best selling brand of butter. 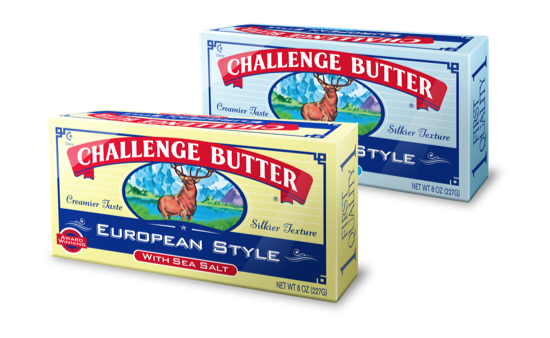 Our award-winning European style butter adds elegance and flavor to your foods. With less moisture and slightly higher butterfat, you’ll make flakier crusts, smoother sauces, and more savory seafood, meats, and vegetables. 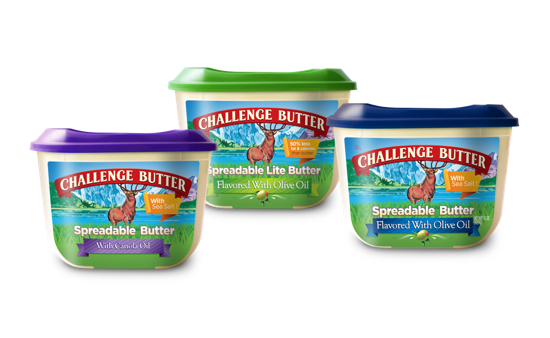 Our spreadable butters have a superior taste because they are made with real Challenge Butter for a smooth, spreadable texture, even when cool. It’s real butter, not one of those synthetic, butter flavored alternatives. No compromising here. 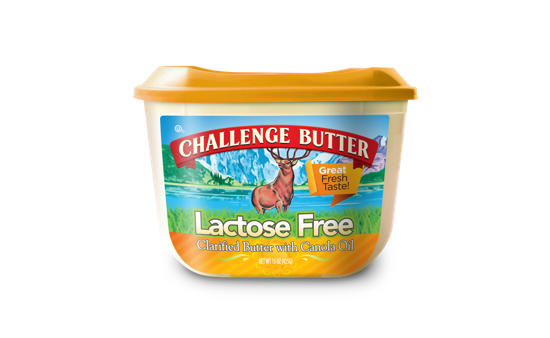 Our Lactose Free butter is 100% pure Challenge Butter clarified and blended with canola oil to keep the flavor, characteristics, and quality of real butter without lactose. Our whipped butters are the ultimate spreadable butter topping. You get the same real Challenge Butter that’s become the West’s favorite butter, but in a lightly whipped form. No added fillers or ingredients. It’s pure grade AA butter that’s ideal for spreading. Our silky cream cheeses are crafted with real milk, cream, and natural ingredients for superior flavor and an ultra smooth finish. 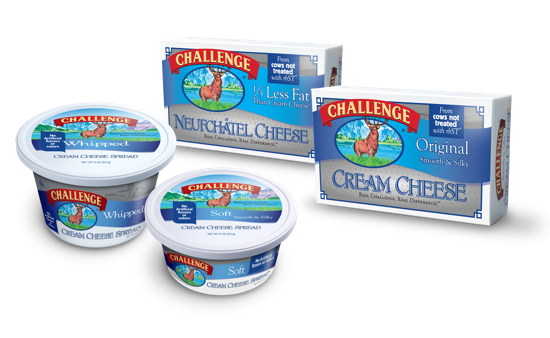 All four cream cheeses come in 8 ounce packages. Traditionally, the blocks make incredible ingredients in recipes, and the spreads make a delicious topping. 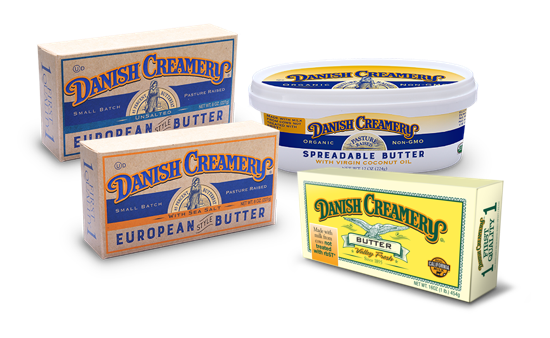 Danish Creamery Butter has been recognized for its premium quality and creamy smooth consistency since 1895. It’s produced on family dairy farms and represents the pride and tradition early Danish settlers established once on American soil.